Knight Frank just released their 2014 Wealth Report which takes a look at the investment trends for ultra high net worth individuals (aka UHNWI’s defined as $30M+). It’s chock full of investment insights, including real estate. We provided some data/insight to the report (translation: a very tiny portion). Yesterday I mentioned their crazy new Asteroid Index yesterday. UHNWIs plan to increase their allocation to property. 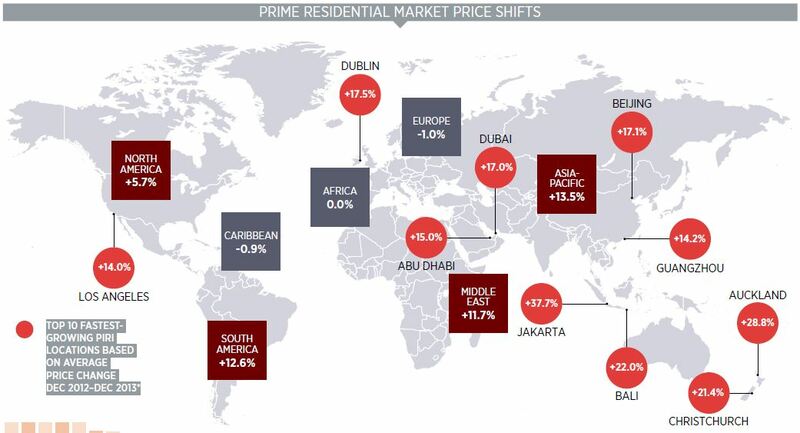 The performance of luxury property markets around the world. Knight Frank Luxury Investment Index continues to climb. Commercial property investment in 2013 totaled $533bn.